In Advertising > Salesmans Samples > Show & Tell. 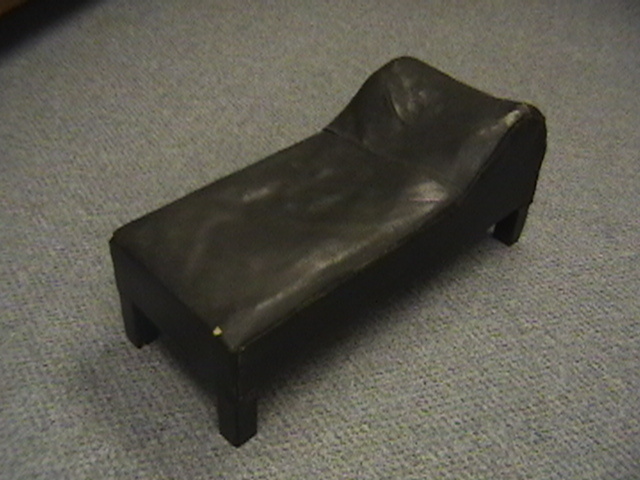 This is a salesman's sample psychiatrist couch which would be easily carried and shown to possible buyers. 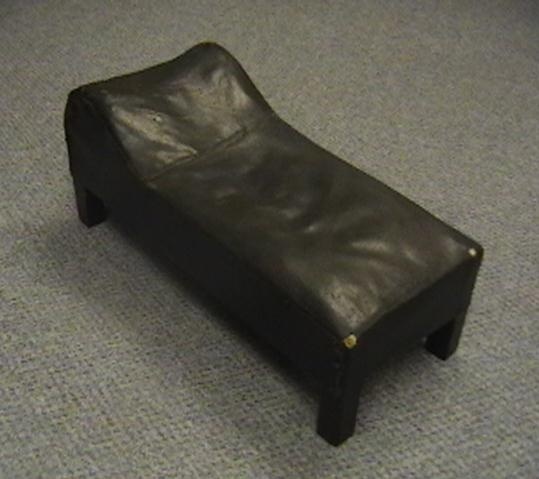 This is the type of couch which Sigmund Freud made famous! 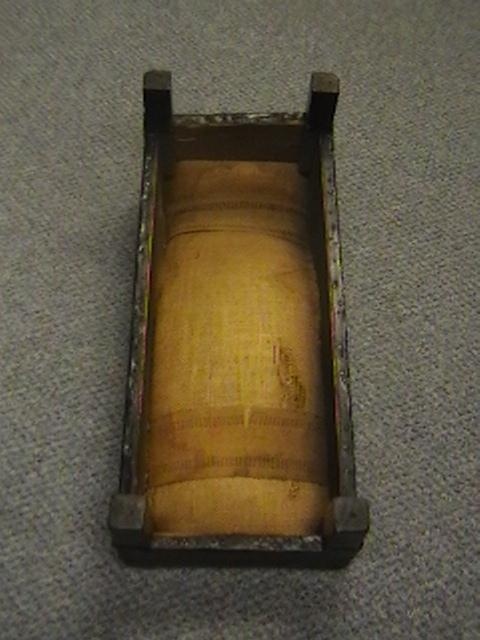 It is about 18" long, and about 7" tall. It has a black leather covering, wooden legs, and the stuffing is held inside with a layer of burlap. This dates to the early 1900's. Love it, and believe I just bought one last night. Mine is larger and a bit more fancy, so, perhaps a fainting couch? But my first instinct was that it was a sample of a psychiatrist's couch.